Come be a part of the fuuuunnest most violently violent spectacle in the galaxy! Freakshow Wrestling! This unbelievable show is a Battle Royal of variety and comedy all unfolding inside the squared circle! Featuring the worlds’ best wrestlers, magicians, comedians, sideshow performers, musicians, circus and burlesque as seen on America’s Got Talent, Cirque du Soleil, WWE World Wrestling Entertainment, Guinness Book of World Records, Lucha Underground, The Amazing Johnathan Show, the Jim Rose Circus, Penn & Teller’s Fool Us and more! Freakshow Wrestling is the brainchild of Sinn Bodhi AKA WWE star Kizarny. 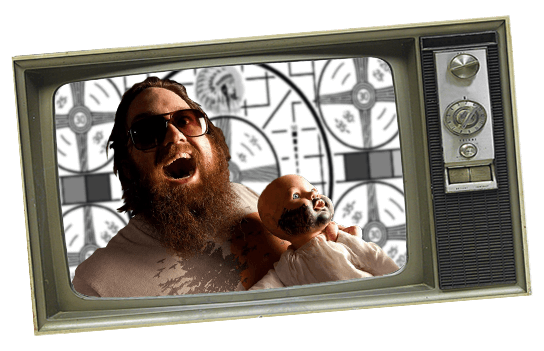 He came to Las Vegas and made a mad scientist experiment combining local underground variety talent with his extensive experience in professional wrestling.